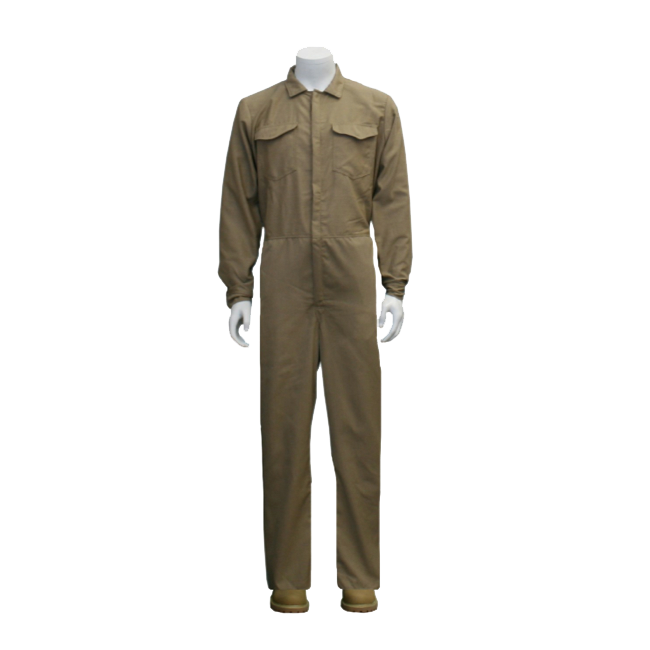 Level 4 Arc Flash Protection available in multi-layer khaki Protera®, rested to ATPV of 40 cal/cm². FR Hook and Loop front closure for easy entry. Available Sizes: Small through 5X. Universal hard hat adapter and hard hat. Kit comes standard with coverall size selection with hood in storage duffel bag, safety glasses and ear plugs.